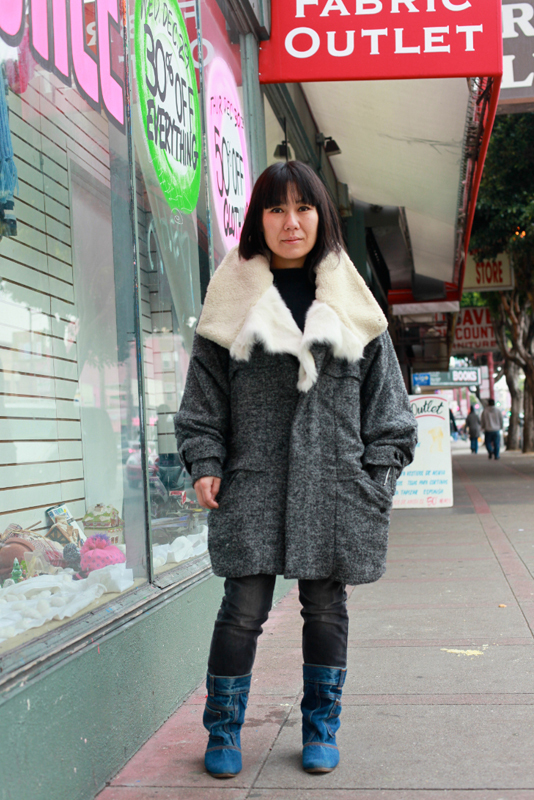 "My friend made this (coat), she is a designer (for Toga) in Tokyo. 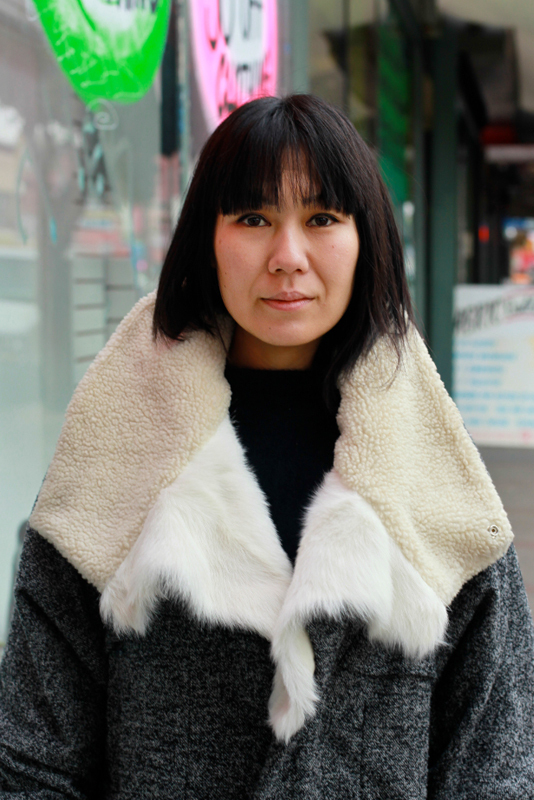 I hang out with her, so..."
If Satomi looks familiar, maybe you've seen her sing/play bass in the phenomenal band, Deerhoof. Here she is wearing a great velluminous car coat with a fleece and fur collar. 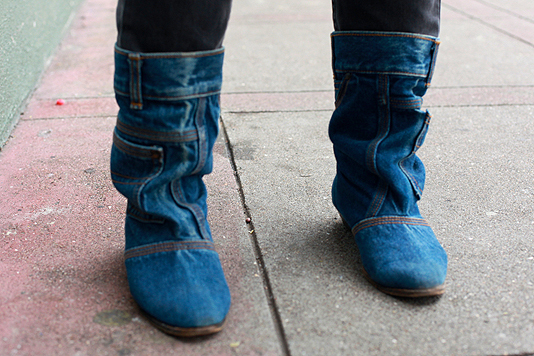 A look at her boots that put the jeans back in denim.